The most underrated of Guillermo Del Toro’s resume is his Hellboy duology. 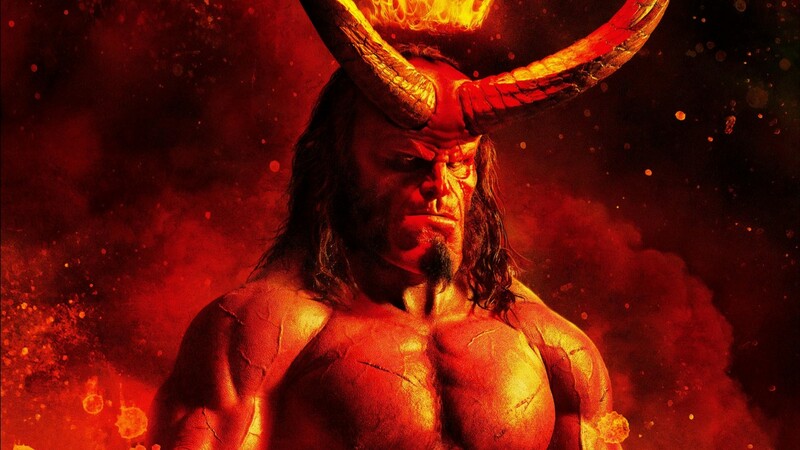 The films had a great blend of humour and horror, a pitch perfect choice of casting with Ron Perlman as Hellboy himself and a great comic-to-film translation. Unfortunately, the planned trilogy capper never got made and languished in development hell until Lionsgate/Millennium Films picked up the property again for a reboot. The result is so terrible that I was simply speechless. In present day London, half human half demon agent Hellboy (David Harbour) is tasked by step-father Trevor Bruttenholm (Ian McShane) to help take down Giants, only to stumble onto a bigger conflict: the ancient Blood Queen Nimue (Milla Jovovich) from Arthurian times has been resurrected and is going to destroy mankind. Hellboy must team up with agent Ben Damino (Daniel Dae Kim) and Alice Monaghan (Sasha Lane) to try and stop this from happening. 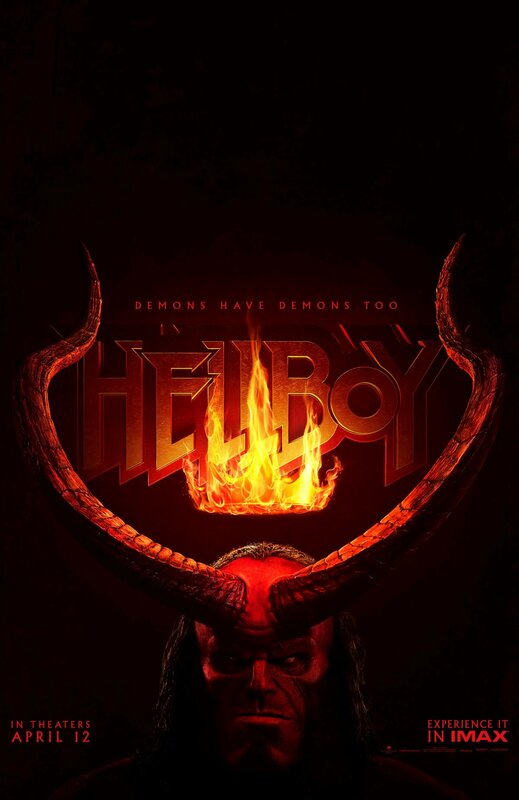 Hellboy (2019) is a film that clearly wants to be different from the prior Del Toro films with it’s increased bloodshed and different characters, but also bizarrely wants to be a homage to them in certain places. You are always reminded of a much better universe, yet you are stuck in one that is nowhere near as well-presented. As a result, the film feels cynical and the lowered ambition is incredibly obvious, as it feels less like a movie and more like a pilot to a TV series. This is only compounded by the constant sequel baiting throughout, with certain characters only appearing for that purpose. Hellboy (2019) is one of the most blatantly cynical reboots I have ever seen, but I would have forgiven that if the actual film was anything close to watchable. The biggest issue overall is that the tone is so mismanaged. The prior Hellboy films perfected their tones, but this film can never do one well. None of the comedic scenes work, due to the dialogue and overall humour being atrociously ineffective. None of the serious scenes work because the visuals are so goofy that you end up laughing at them and the heart that the film is based on is embarrassingly underdeveloped (Hellboy and Prof. Bruttenholm past relationship is never shown onscreen, yet it is something we are expected to care about). The overall tone never stays consistent from scene to scene, sometimes wanting to be cheesy fun whilst at other points wanting to be played straight. Story-wise, this is such an incoherent mess. The plot might seem simple on paper, but it goes in so many different directions and feels far too convoluted for it’s own good, not helped by the frequent awkward flashbacks. The screenplay is bad enough on paper, being entirely comprised of multitudes of exposition, one-liners and action sequences, but it could have been salvageable if competently assembled. There are even ideas and individual scenes that could have made a good film. Alas, Hellboy (2019) is the textbook definition of a botched production and it is clear that whatever director Neil Marshall’s vision was has been totally lost. The production of Hellboy is also beyond awful. The editing is choppy and awkward and the CGI ranges from okay to abysmal. The soundtrack constantly plays mind-numbing rock music, attempting to add energy but becoming annoying and the ADR is so distracting (many lines are off-camera). The cinematography is average at best and the entire film feels cheap despite trying to be a grand blockbuster. The only inspired moments are two one-take action sequences that show a level of co-ordination that the rest of the film does not have. The actors do their best to salvage this material, but they unfortunately don’t. Ian McShane is terrible because he clearly does not know whether to be eccentric or serious. Sasha Lane and Daniel Dae Kim are saddled with terrible accents and characters who barely have a purpose in the story. The only two who come out unscathed are Milla Jovovich and David Harbour. Harbour does a decent job as Hellboy despite being inferior to Perlman and though Milla Jovovich needs to fire her agent, she is always 100% committed to the trash films that she does. Hellboy (2019) is a pure disaster. The best thing I can say about it is that I was never bored, but every aspect of filmmaking and storytelling is totally botched. It is up there with Fant4stic as the worst comic book reboot of the decade and is one of the worst comic book films of the century. Go and see it for a fun ride, as this is train-wreck cinema at it’s finest.